The Antibacterial Personal Catheter releases Nitrofurazone during intermittent catheterization to produce localized antibacterial activity. Nitrofurazone has proven effective against a variety of pathogens known to cause urinary tract infections. All-silicone catheter design provides enhanced comfort and virtually friction-free insertion and removal. Female 6″ length catheter with two offset opposing smooth eyelets. 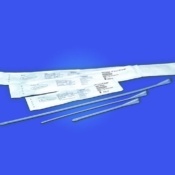 The Antibacterial Personal Catheter is available in sterile, single unit packages, Pack of 10, 20 and Box of 30. This Antibacterial CIC Intermittent Catheter releases Nitrofurazone during intermittent catheterization to produce localized antibacterial activity. Nitrofurazone has proven effective against a variety of pathogens known to cause urinary tract infections. 100% silicone catheter design provides enhanced comfort and virtually friction-less insertion and removal. 6″ length catheter with two offset opposing smooth eyelets. 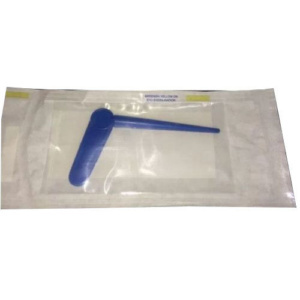 This Female Antibacterial Personal Catheter is available in sterile, single unit packages, Pack of 10, 20 and Box of 30.